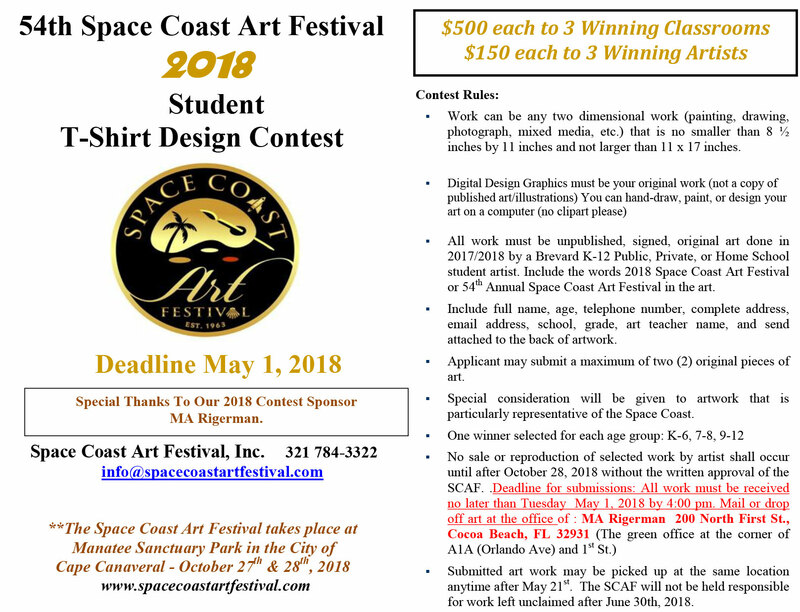 The Space Coast Art Festival Board of Directors invites All Brevard County Students (public, private and home school) to participate in the 2018 Space Coast Art Festival Student Art Show. SCAF will still provide 20 x 20 Tents for students to display their art. 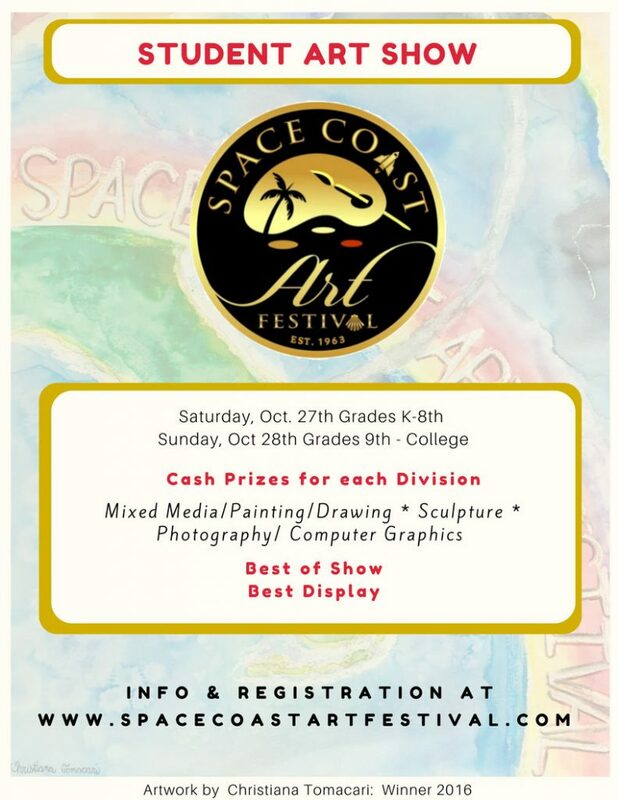 The Space Coast Art Festival will also host a Student Art Show. Like Albert Einstein, we believe “Creativity Is Contagious, Pass It On.” Please check back often for updates and details about the Student Art Show. I understand that pictures of me taken throughout this event may be used in any form of media for future advertisements to promote the Space Coast Art Festival. I consent to this use.